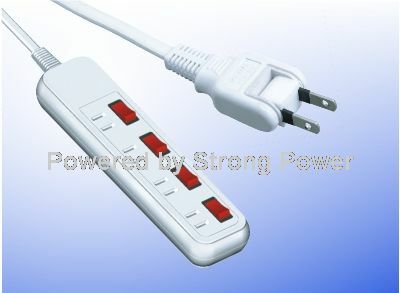 In these respects, the power cord dispensing system according to the present invention substantially departs from the conventional concepts and designs of the prior art, and in so doing provides an apparatus primarily developed for the purpose of allowing the convenient use of electrical appliances. 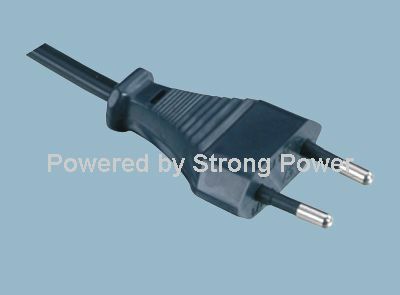 The general purpose of the present invention, which will be described subsequently in greater detail, is to provide a new power cord dispensing system apparatus and method which has many of the advantages of the retracting power cord assemblies mentioned heretofore and many novel features that result in a new power cord dispensing system which is not anticipated, rendered obvious, suggested, or even implied by any of the prior art retracting power cord assemblies, either alone or in any combination thereof. Even still another object of the present invention is to provide a new power cord dispensing system that includes a housing with a retracting spool mounted therein for selectively retracting a power cord through an opening formed in the housing.